What is an “ET”? What is an “EB”? What is “Channeling”? What is a “Transmission”? My thoughts have been dwelling along these lines a lot lately. I‘ve learned they’re all very closely connected. I’ve practiced Buddhism since 2001; in the context of my former tradition, when we receive Teachings, we often refer to them as Transmissions. We regard this as a special way of learning and teaching. Some even believe that, if we prepare properly, the Buddhas (Enlightened Beings) teach through us. In 2010, a few years after I’d decided to spread my wings and leave the cozy nest of the Sangha, I began to “Channel”. Wait. A Buddhist takes Refuge Vows. No talkin’ to anyone but Enlightened Beings! In Channeling, how do you check the source of the message? You have to trust, and everything unfolds. In Buddhism, we often engage in preparatory prayers and mantra recitation. We actually commit to doing this every day; it’s like taking a vow. This protects us and ensures our connection with our Spiritual Guide (Yidam). Prove it. Better not be breakin’ those vows! I couldn’t. I just knew. I recognized the energetic fingerprints of His Wisdom and Bliss and unyielding nature. Well, He had a point there. My prayers took about 4 hours a day (Heruka has a very extensive practice, in more ways than one…). Oh, right. I’m already going to Hell, because I returned my vows. Ok, good, then. No worries. So now I Channel instead of praying. Heruka told me that sitting and doing my pendulum work was my meditation. All I knew is that some amazing material arose when I sat like that, and “Leslee” sure couldn’t take credit for it. I began searching for physiological/neurological explanations of what I feel happening when I work with a pendulum and Channel. I suspected that state somehow relates to EMDR, Brainspotting, binaural work, etc. Therapeutic techniques used by people with credentials. I continued to feel a quiet uneasiness about what I was doing, from a Buddhist point of view. About a month ago, my therapist announced that she’d learned a wonderful new hypnosis technique from Bill O’Hanlon. She wanted us to try it. I’d always shied away from hypnotism, because (believe it or not) I tend to be quite skeptical, and I doubt that I trust anyone enough to let them put me in a trance. But somehow this felt right, so we began. As I followed the guided meditation, a part of me drifted into a gently altered state, while another part danced a jig in delight! OMG, this is almost exactly how we teach beginner’s meditation! Holy moley, we hypnotize people to teach them Dharma! I’ve been Channeling while Teaching the Middle Way! So, I’ve got a whole new take on Transmissions & Channeling, ET’s & EB’s. And that’s what this site and BUTTA (Because U Think To Ask) are all about. When I use the term “ET”, I’m referring to any being who’s not in a body that I can see with my eyes. When I talk about “EB”s, I could be talking about an ET, or a person who’s incarnated here on Earth. In the book All About Enlightenment, an EB is a special type of being who, one way or another, has attained Enlightenment or Awakening. This happens on a variety of levels, so we often use the terms “Enlightened”, “enlightened”, “Fully Enlightened”, and “Great Enlightenment” with very specific meanings in mind. I’ve come to understand that many of us receive Channeling and Transmissions from beings from other worlds. Some call them Angels. Enlightened Beings really don’t care what we call them; it’s all the same. For the most part, we can’t see ET’s or EB’s. But they’re here, and they know a heck of a lot more than we do with our little wads of grey matter and webs of nerves and synapses. When we go “inside” and “outside”, we escape the confines of our physical limitations, and can access anyone we please. EB’s are very special; Their job is to teach us, whether we like it or not. And They do this, whether we believe it or not. So, if we want to access Them, all we need to do is ask to talk to Someone who’s attained Full Enlightenment and gives only Love and Light. They’re ready and waiting to jump in with us. All They need is our request. And once you make that request, you automatically get the combo meal: guidance and protection. So, whether you pray, meditate, channel, trance or just sleep, ask for Their guidance and you’ll notice amazing things going on. ‹ PreviousKnock, Knock – Who’s There? I am so glad that you shared this…it touches me on a personal level. So glad that I ventured to your page tonight. I’m so glad we’ve connected, too! There aremany if us here, and we’re starting to connect so powerfully, it’s very beautiful. More to come! As we walk the earth, every footstep is a prayer, every breath a mantra. Creation is all around us. 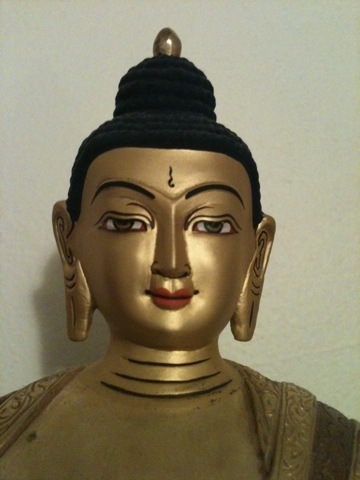 Heruka is a fun and playful soul, thank you so much for sharing this energy with us Leslee! Hey Leslee, i absolutley love this blog. I agree with all of it, of course. The best thing is trusting what you do, and channeling is the one thing that you have to have complete trust in, without doubt. I had to learn that quickly. I love how you got the name But You Think To Ask, amazing mind you and your guides have!! They are so wise…..I made business cards for the pendulum work, wish me luck. I went to a medium recently and he suggested that I start getting out there and cards are the way to go. I also started doing the Chios Energy Healing Training as well, (Guides actually let me know I should begin energy healing) it is such a beautiful thing to practice. Well Hugs to you honey!! Oh yeah, i was in a coffee shop the other day with my mom in law…and on the coffee mug was a story about Heruka…I thought about you instantly!! Love that people are reading about it. Hi, Tara! I’m so glad you commented, because I haven’t been able to find your blog, and I just KNEW that I had accidentally deleted a post from my inbox before reading it. So, yea, I found you! I’ll try to catch up this weekend. So much has been going on, and I thought my life was already busy enough… But it’s all good! I look forward to being in touch better soon. All of your news sounds exciting. I’m so glad you’re posting and moving ahead – you have a lot to offer. Blessings and hugs and all that good stuff!